Roland Orzabel and Curt Smith may not have dreamed of overnight success when they met as teenagers in the city of Bath at the turn of the 1980s but their rise to international fame was rapid nevertheless. Their third single 'Mad World' and the attendant album The Hurting marked their card as they provided an ingenious fusion of synth pop with heartfelt lyrics and vocals that captured the zeitgeist and allowed them to move between chart hits and credible and considered work that showcased their ear for melody while, keeping an eye on established acts like Talking Heads, Peter Gabriel and Brian Eno. Having established a smart template with singles like 'Change' and 'Pale Shelter' they became more experimental and the following album Songs From The Big Chair propelled them to international acclaim, rubber stamped by the magnificent The Seeds of Love disc that embraced elements of Beatle-esque psychedelia. Although Smith and Orzabel would split up Roland maintained the name and kept up the good work and they eventually reunited for the wistfully titled Everybody Loves A Happy Ending. The good news is that they are working on new material again but before you examine that ending it's time to go back to the beginning. Smith and Orzabel were working as session musicians in bath and enjoying a sideline with a mod flavoured group they called Graduate before a brief trail of an act named History of Headaches mutated into Tears for Fears, the name borrowed from the Primal Therapy pioneer Artur Janov, who had John Lennon as a patient in 1970. By 1983 the duo were working with drummer Manny Elias and keyboardist and writer Ian Stanley on The Hurting, produced by Chris Hughes. This debut disc remains an absolute beauty. Conceptual in that most of Orzabel's songs concerned his own difficult childhood but with a framework of delicate tunes to counteract the melancholy, it was an instant critical success. Tracks like 'Mad World' and 'Suffer the Children' had obvious resonance and they still ring true today. Moreover the essential excellence of the musicianship indicated a group of lads who were serious about their craft. 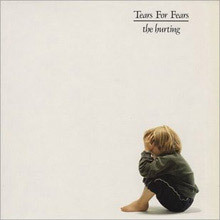 The Hurting is available in original format but also in Deluxe and Super Deluxe box set categories which provide a stunning overview of their prolific nature with extended single mixes, original 7 inch remasters, a generous selection of radio sessions and even a DVD, In My Mind's Eye, recorded at Hammersmith Odeon in December 1983 with Tears for Fears in triumphant mood since the number one parent album was on its way to platinum status. Songs From The Big Chair is a magnificent second effort that soon throws off any lingering notion that TFF are any kind of teeny bop act â€“ though they were regularly featured in the likes of Smash Hits magazine. Recording in The Wool Hall in their native Somerset Smith and Orzabel produced a masterpiece with Hughes that became their biggest selling worldwide album and would top the US charts for five weeks. Maintaining their thematic infatuation with psycho-analysis - The Big Chair being where psychiatrist's have their subjects sit - the group soared beyond category with the perfect, dreamy pop of 'Everybody Wants to Rule the World', 'Mothers Talk', 'Head Over Heels' and the euphoric 'Shout' all of which found them bossing pop while moving into the extended mix territory of the dance scene. The ever-so-catchy, Brit winning 'Everybody Wants to Rule the Worl'd was the deal breaker here and in America where it's smart message translated perfectly into sports TV programming. They'd not only penned a classic they'd come up with a catchphrase and when you can manage those feats you're in a very good position. Again both the remastered and Deluxe editions are heartily recommended with Urban and 'Preacher' mixes pushing the synth side of their sound to the forefront. By now their appeal was such that a couple of years were spent on the road, performing in increasingly more spectacular venues while undergoing a punishing promotional schedule since everybody seemed to want a piece of this extraordinary act. Still they returned in spectacular fashion with The Seeds of Love, an epic and costly extravaganza that recouped the outlay thanks to staggering sales. After experimenting with Hughes and various other producers Smith and Orzabel were agreed that they wanted to make another giant leap and so the reliance on programmed and synth colours were largely replaced by the warmth of percussion masters like Luis Jardim, the trumpeter Jon Hassell, subtle orchestration, full on gospel and soul backing vocals and some huge drums sounds provided by Manu Katche and Phil Collins. One of the defining moments of the year 1989 was the single 'Sowing the Seeds of Love' which despite its sunny overcoat - an acid folk pastiche of the Beatles' late sixties output in many effective ways - actually cloaked a much darker and political message that sums up the mood of many in a turbulent part of history. A Top 20 hit worldwide (at the very least in America is was a cert number one) this particular track and the following 'Woman In Chains', a groove led feminist inspired manifesto featuring the impressive Oleta Adams, found Tears for Fears raising the artistic bar again. The reissued version contains valuable and rare B-sides including 'Laid So Low (Tears Roll Down)', which is when Orzabel starts to work without Smith for the time being - the closing 'Famous Last Words' being something of a hint that the original pair were considering a break. The compilation Tears Roll Down (Greatest Hits 82-92) is an excellent collection that delivers on its promise and then some with bonus material that covers the dance floor and beats up a storm. This set was a success in its own right proving that appetite for the TFF sound maintained its appeal. Elemental found Orzabel taking over the controls but not letting up on his passion for, perfectionism. Excellent tracks here include 'Brian Wilson Said' (a homage to Pet Sounds era Beach Boys), the thrusting 'Break it Down Again' and 'Goodnight Song' where Roland handles most of the playing with assistance from collaborators Tim Palmer and Alan Griffiths. We return to the catalogue with Saturnine Martial and Lunatic, the intriguing compilation that includes the hit 'The Way You Are', covers of David Bowie's 'Ashes to Ashes' and Robert Wyatt's 'Sea Song' and carefully considered liner notes from the relevant musicians whose recollections add to the unravelling story of this strange adventure into meta-pop music. And so the equally definitive reunion disc - Everybody Loves A Happy Ending. Having reconvened in a Bath restaurant for supper, Roland Curt decided they did have unfinished business and their friendship resumed for a potent album recorded with keyboards wizard Charlton Pettus. To complete our tale we also offer Mad World - The Collection and the equally handy Everybody Wants to Rule The World - The Collection. The time is always right for some high class Tears for Fears and with all the above to captivate old and new listeners alike we think there's discovery ahead. Time to sew some seeds. 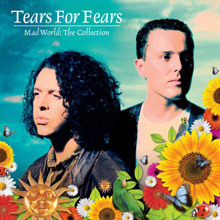 The album contains Tears For Fears' first three hit singles – "Mad World", "Change", and "Pale Shelter" – all of which reached the Top 5 in the UK. It also contains a new version of the band's first single, "Suffer The Children", which had originally been released in 1981. 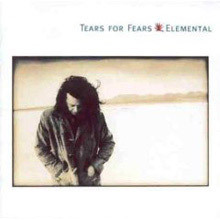 Elemental is the fourth album by the British pop band Tears for Fears. It was released on 7 June 1993 and includes the hit single "Break It Down Again". The album peaked at #5 in the UK and #45 in the US. It also reached the Top 10 in France and Italy, the Top 20 in Canada and the Top 30 in several European countries. It has been certified Silver in the UK, and Gold in the US and France. 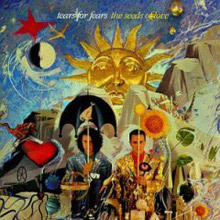 The Seeds of Love is the third album by the British band Tears for Fears, released in September 1989. The album, which reportedly cost over £1 million (GBP) to produce, retained the band's epic sound while showing increasing influences ranging from jazz and blues to The Beatles, the latter of which is most evident on the hit single "Sowing the Seeds of Love". The Seeds of Love was a big international success, entering the UK Album Chart at number one and reaching the top ten in numerous other countries including the U.S., where it was certified Platinum, as in several other territories (U.K., France, Germany...). Despite its success, it would be the last album that bandmembers Roland Orzabal and Curt Smith would work on together for over a decade. 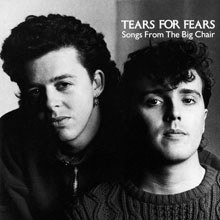 Songs from the Big Chair is the second album by the British rock band Tears for Fears. It was released in 1985 on Phonogram Records, and remains their highest selling album to date. The album peaked at #2 in the UK (where it remained in the Top 10 for over six months and in the Top 40 for over a year) and reached #1 (for five weeks) in the US. It contained a string of international hit singles, including: "Mothers Talk", "Shout", "Everybody Wants to Rule the World" and "Head over Heels". 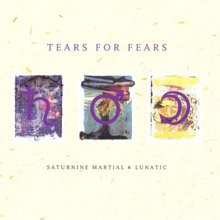 Saturnine Martial & Lunatic is a 1996 compilation album released by the British band Tears for Fears. It is a collection of B-sides and rare tracks, spanning some ten years of recording from the band's era signed to Mercury/Phonogram Records. The album also includes their 1983 hit single "The Way You Are" (which had been omitted from their 1992 greatest hits album). The album includes liner notes written by the bandmembers themselves, reflecting on the tracks included. 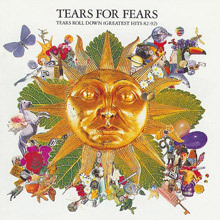 35 track Best of collection from 2010.
ears Roll Down (Greatest Hits 82–92) is a compilation album released by the British band Tears for Fears in 1992. Preceded by the hit single "Laid So Low (Tears Roll Down)", the album contains twelve of the band's UK Top 40 hits. The album has been certified double platinum in the UK, platinum in the US, and gold in several other countries including Canada and France. Tears Roll Down originally peaked at #1 in Italy and #2 in the UK and France upon its release, but returned to the UK Top 10 (#6) in 2004 for several weeks following the success of Gary Jules' cover version of "Mad World".